Disclaimer: Woo was so kind to send us a loaner of the unit to do this review. It has been returned in the mean time. Thank you Mike L. and Mister Wu. I got an email from L. a while back, which read more like an aside, saying that, oh yeah, you will be getting the Woo Audio WA7. Both the SS and tube based power supplies would be included, too? Oh well, if you insist. Woo Audio should need no introduction. They are the makers of tube amplifiers, from the $599 WA3 to the $15,900 WA234 Mono. 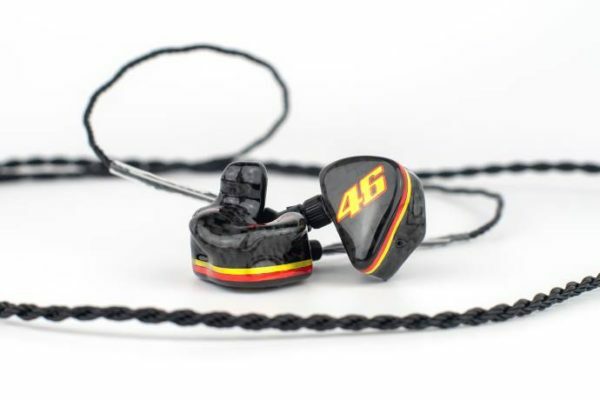 They are known as much for their gorgeous build quality as they are for their clean, dynamic sound. The WA7 will not disappoint on either of these fronts, but… well, let’s get to that latter. First, the WA7 is Woo Audio’s first attempt at an all-in-one machine. It is a class-A tube amp with a built in 32/192 DAC. Before we go any further, I should mention that there are two versions of the WA7 out there: the WA7 and the WA7d. Since the amp and dac section are the same, to keep things simple, I am going to wait and discuss the differences later in the review. So, until I mention different, when I say WA7, I am referring to both. The WA7 has the nickname of “Fireflies”, and that couldn’t be a more appropriate name. Having the amp and its tube based power supply sitting next to each other, turned on in a completely dark room is a thing of beauty. It does look like four fireflies just hovering there. This is, beyond a doubt the most beautiful thing I have reviewed in my tenure at Headfonia. Made out of aluminum, with no screws showing, these are put together amazingly well. I am even saying this as someone who prefers black (Woo sent me the silver model). All of the switches and knobs are solid. These units might actually be bullet proof. Be warned, however, that unlike the transportable Pan Am, the WA7 isn’t meant to travel. 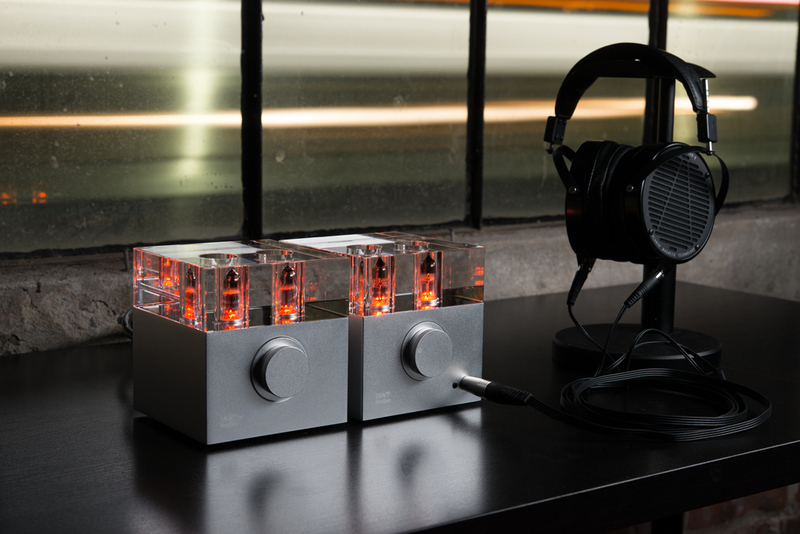 With its glass top on, both the WA7 and the tube power supply weight about 9 pounds, and need an electrical outlet. Pair this with a snazzy looking Apple computer, and you are going to like the epitome of high style. Don’t be surprised if someone wants to display your computer disc at the Louvre. It is a pure tube, class-A transformer coupled amp. With the stock tubes (well burnt in), the amp has a very linear sound. Clean, even and detailed from top to bottom. The highs have sparkle with some decent air. There is decent midbass impact with enough body, and the mids connect the two without drawing too much attention to themselves. It is a very balanced sound. The DAC follows suit (or is it the amp the follows suit of the DAC? Oh such questions!) with a clean, spacious sound. It is a little laid back, but far from sleepy. It, and the amp, provides a solid sound stage, with decent width and depth. When hooking up the Dacport LX to the WA7, I noticed that the WA7s built-in DAC was cleaner, and definitely had more air to the sound. So, all-in-all: good body, good balance, good sound. My main headphones for this review are the HD650 and the Alpha Dogs, although I used the HD650 more. The Alpha is cleaner, something the WA7 is able to capitalize on, but I can’t get over the lack of bass impact with the Alpha. Not the WA7’s fault. In its stock form, the WA7 doesn’t add much to your headphones. You like the way they sound, the WA7 will bring that sound out. Of course, you could always change the tubes, and wouldn’t you know, Woo Audio offers a pair of upgrade tubes through their website, the Electro Harmonix 6C45 with gold plated pins. And yes, these do change the sound… boy do they ever. They might be a little cleaner and more detailed, but that is a moot point. These are much darker, with really full mids and bass. Voices sound awesome, and rock really rocked. These are a great time… unless your diet is made up of mostly classical, like mine. I missed the balance of the stock tubes with orchestral music. That is just personal preference, though. If you want your WA7 to rock out, these are tubes to strongly consider. I’ve lusted after this WA7 ever since I saw the ‘review’ by Ken Rockwell the camera guy. 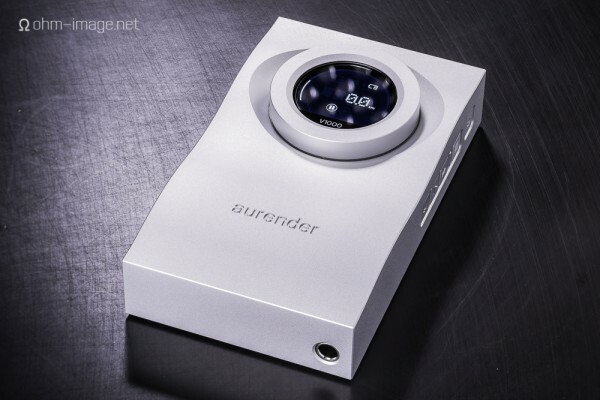 great review, happy to see the comparison to resonence and that you like classical; since I ll be replacing my Marantz pm 7004 for a dedicated hpa/dac and classical will be the main focal point. so many wishes…..
Hey good review, thanks 🙂 Before I started reading it a question came up in my mind. How would it compare with concero hp and at the end, there was an answer 😉 Thank you, I am going to save some money on concero. 🙂 First I was thinking to add that vorzamp to my Meridian but concero hp will take on another level, am I right? I haven’t heard the Vorzamp or the Meridian, and I don’t know what headphones you are using, but I absolutely loved the Resonessence Labs sound. At home I have Philips X1 with PanAm and on the go Meridian Explorer and Aedle vk 1. You mentioned the PanAm there, so could you compare Concero HP to it please? I have not heard the Pan Am. Sorry. That’s a lot of change right there…. If you wanted to improve detail retrieval, clarity, separation of instruments, would you upgrade to the WA7tp or buy a new DAC (something like the X-Sabre)? DO you already have the WA7? Yea, the first version. Using EH Tubes as well. In my case I have a pair of amplified desktop M-Audio monitors, that at flick of a switch, I can send the signal to, with the WA7 turned off. The DAC it’s self is USB powered. I find a lot of value in this feature, as living in a Brooklyn apartment, there isn’t much room for complicated separate pieces of gear. I wholly agree with the financial aspect of this article. When I bought my WA7, there was no WA7tp – the solid-state PSU was the only choice. So would I spend the extra $400.00 bucks? Hell-No. For one it defeats the purpose of having an all-in-one unit. And for two, as pointed out you have more, equal or better choices in gear you could purchase. If I want to change the sound of my music, for $400.00 dollars ill buy a new set of ‘phones. That aside, as far as an all-in-one full tube DAC/amp for 1K plus the EH tubes (so very worth it), I have been really happy with the unit. I feel I have made an investment in an item which i will enjoy for a long time to come. This is a rare bird in todays disposable, mass market economy and mind state. I should also add that Woos’ customer service and communication is excellent. I recently had some issues with my overall setup involving my Late 2009 iMac and my WA7, that for all conventional troubleshooting techniques looked as if my WA7 was the issue. Mike was very accommodating in helping me troubleshoot and even thoroughly tested my unit free of charge, less shipping and insurance to WooAudio; return shipping was picked up by them. I sell technology for a living and i see A LOT of broken promises, unnecessary spending, and crappy customer service, often even after tens of thousands have been spent on a “solution”. Woos’ reputation for incredible bespoke engineering-the transformers are custom built as is the case and even solid block of glass-, great build quality, and customer service earns it’s 1K price tag. See, everyone has a different look at things. This was just mine. I think you make a great point, and I am glad the WA7 is worth it for you. Their build quality is beyond praise, and I can say they were great people to work with. It is also rather obvious that my crush on Resonessence Labs gear just won’t go away. Of course…if anyone of could ever just pick one headphone one amp or one DAC, none of us would be here. I just thought I add some points to really well written article. I will be in the market at some point for solid state gear, and when that happens both Vio and Rec Labs are my top two for considerations. I just realized my last comment doesn’t read like I intended. I wasn’t intending to be defensive. The first sentence was a comment to everyone but you saying “here is an equally valid, but contrary opinion to the one I have”. I should also say that the Vio/Concero HD combo was a great one. Would this Amp/DAC combo work well with AKG K812? I was interested in the WA3 OTL to use with the 650, but for a little more the WA7 comes with DAC, you did not like the synergy of this version so much with the 650, you know what it would look like with the new WA7 Fireflies (2nd gen) ? This is an amp of tubes, but it is not OTL, is this what the 650 does not harmonize? Sorry, but I have no experience with the 2nd gen WA7, and have not heard the original since this review was posted almost 4 years ago. I did not get to keep it. I am no help to you now. Dave, as usual love your review. You tell it like it is. Please review more gears. Love reading it.